A waning sun, Easter Eggs, big surf and tides and the start of the footy season are all signs that we are drawing to a close for 2018-2019 but there are a few important dates for your calendar still to be noted. 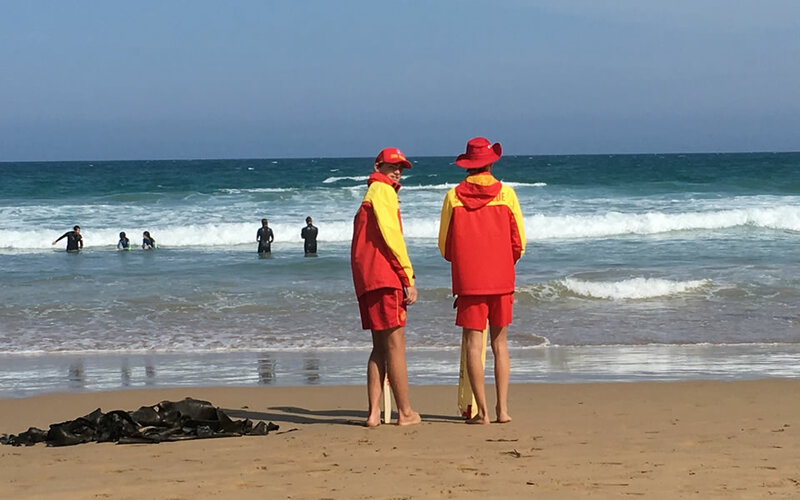 On the 10th of March, our patrolling members and off-duty lifesavers were involved in a search and rescue operation at Sunnymeade Beach in Aireys Inlet. After LSV Comms called in the rescue, members of Patrol 2 worked closely with other active members who were conducting an IRB training session to brief and prepare for the tasking. Fortunately, two of the members were qualified RWC operators, and as such the two jet-skis stored at Fairhaven were launched from the beach before proceeding around to find two fisherman stranded on a rock platform away from shore. After again assessing the conditions, the three Fairhaven members assisted both patients off the rocks, onto the sled of the RWC and then safely back to the beach. The successful management of this incident is a credit to the skills and training of Fairhaven’s active members, and shows the importance of good communication and effective preparation. A big thank you to all of our fantastic patrolling members so far this season. It has been one of the most consistent in recent memory, but we are not finished yet! Let’s keep up the brilliant work as we round out the last month of the patrolling season. A special mention also goes out to Ollie Paton, who came to the aid of a patrol that was looking short on numbers on recent weekend. Not only did Ollie immediately get in touch to volunteer his services during the week, he then proceeded to catch an early bus down the coast to prepare the patrolling equipment so that it was ready to go well in advance of the designated start time. Fantastic work Ollie, and also to every single one of our members who has signed on and donned the red and yellow at some stage throughout the season! Production of the Easter Haven publication is almost completed and will be available in soft and hard copy. A big thanks to Haven Editor/ Patrol 7 legend – Stew Miles who does a fantastic job with production for the club. Congratulations to all Fairhaven competitors who represented our club at Warrnambool over the long weekend in March. 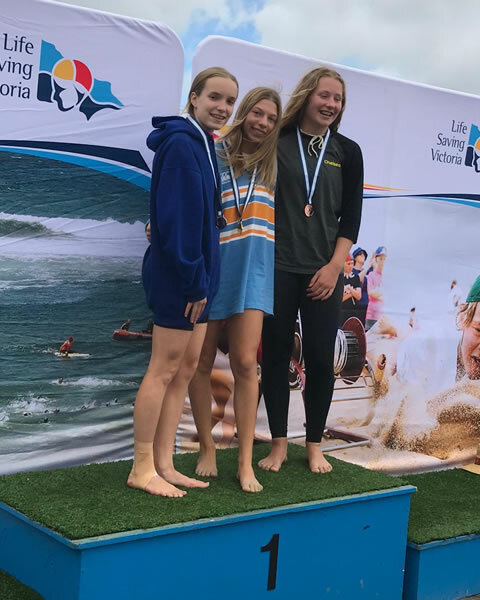 Olivia Hamley GOLD Beach Flags and 4th Beach Sprint. She also won a gold medal in a composite beach relay. Chloe Hardman, Wendy and Rebecca 5th open ski relay (9 teams) and 13th in taplin (17 teams). Two masters surf boat crews, one male and one female, competed on Sunday, making semi-finals. This was a great last hit-out before heading north to the Aussies in April. 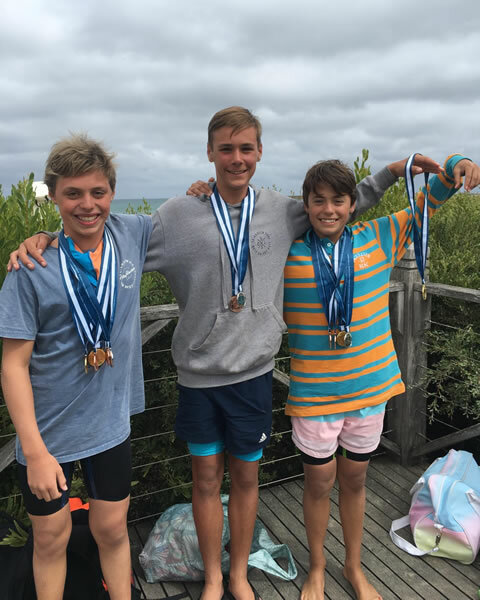 We have 4 Fairhaven members competing at Aussies in Ocean and Beach events. Gabriel Cornwell will be competing in youth events at North Burleigh on 30 and 31st March. 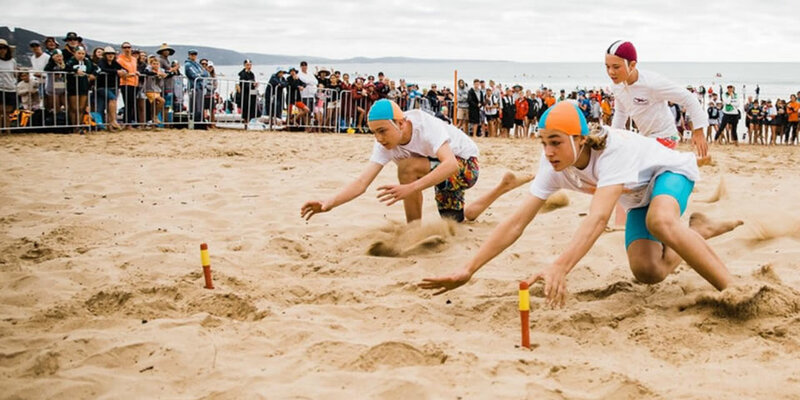 Owen Richards, Mal Freake and Ross Cummins will be competing in Masters Beach. Dave Thompson will sweep for a 200+ masters women crew. Peter Grant will sweep for a 240+ masters men crew. Best of luck to all our competitors! 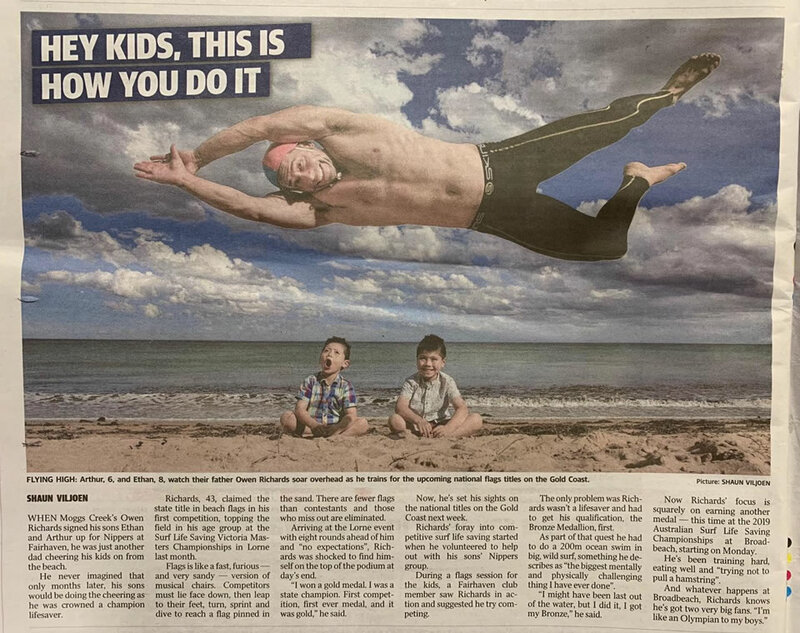 New Fairhaven member Owen Richards was recently featured in a Geelong Advertiser article – great story about his introduction to the club and success in Surf Sports! 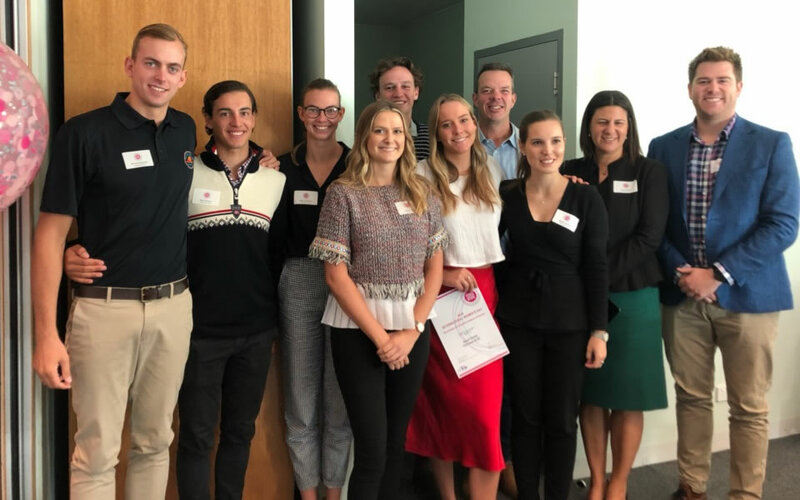 Fairhaven SLSC was well represented at a recent LSV breakfast to coincide with International Women’s Day. Attending members listened to an excellent presentation on Determination and Influence by Michelle Redfern, founder of Advancing Women. Michelle was the recipient of an AFR/QANTAS – Women of Influence Award in 2018. Fairhaven members Jacqui Dreher and Nancy Joseph were also amongst 50 women recognised state wide as Outstanding Women in Lifesaving. The LSV Female Leadership Network continues to break new ground in promoting, recognising and enhancing female leadership within our organisation. Well done to members Nancy Joseph and Laura Buckley for their roles with the network. The Sunset Bar will be open for drinks and meals on Good Friday, Easter Saturday and Easter Sunday. Please join us for a drink and a feed as we farewell the Summer! Our merchandise store will definitely be open over Easter – times TBC closer to the date and via Fairhaven SLSC App. Thanks again for your support of the club over Season 2018-2019. I look forward to seeing many of you at the beach shortly!